Datsun,the fastest growing car brand in India announces celebration of India’s achievement at Olympics Games Rio 2016. 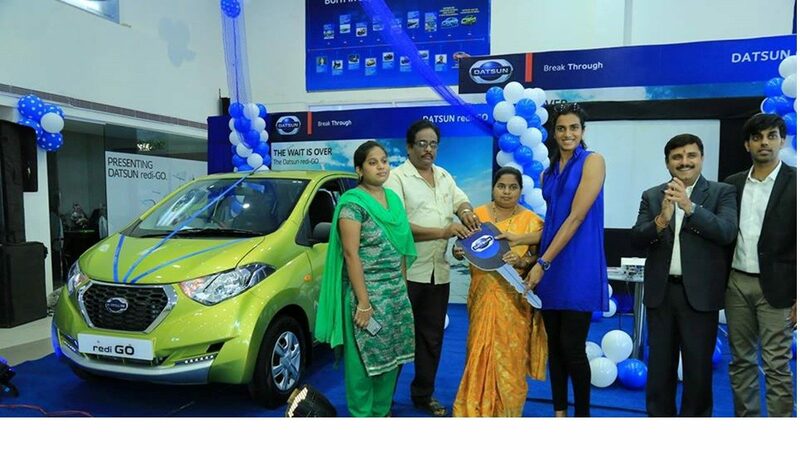 The brand that stands for rising India, will gift the recently launched Datsun redi GO to the rising stars - P. V. Sindhu, Sakshi Mallik and Dipa Karmakar, who have bought laurels for the nation at the Olympics Games Rio 2016. For this achievement, Arun Malhotra, Managing Director Nissan Motor India Pvt. Ltd. said, “It is a proud moment for all of us and we congratulate the winners. Dipa, Sakshi and P. V. Sindhu are the real go-getters and are an inspiration for the youth of the nation”. “Our #ISayYes campaign is designed to connect with the energy of the young dreamers, further strengthen our bond with them and encourage them to never give up. We at Datsun celebrate the achievement of the daughters of our country,” he added. Nissan Motor Co., Ltd. announced the return of the Datsun brand, Nissan's third global brand alongside Nissan and Infiniti, in March 2012. Datsun provides a sustainable motoring experience to optimistic up-and-coming customers in high-growth markets. Datsun represents 80 years of accumulated Japanese car-making expertise and is an important part of Nissan's DNA. The new Datsun brand stands for Dream, Access and Trust. The overall Datsun customer offer includes a worry-free ownership experience at competitive cost, accessible services, with transparent pricing and dealership proximity. Datsun cars are on sale now in India, Indonesia, Russia and South Africa. In 1933, Nissan’s founding father Yoshisuke Aikawa took over the business with a vision of “mobility for all”. The introduction of a light-weight, economical yet resilient car to meet the aspirations of young Japanese people in the early 1930s was named the ‘son of DAT’ – Datson - which later changed to Datsun. Local engineering and mass-production made the founder’s dream a reality.